$29.95 In stock. Order in the next 3 hours, 22 minutes and it will go out today! 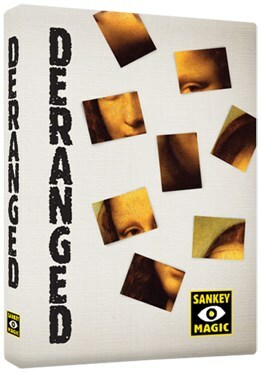 Eight pieces of a cut postcard (featuring Leonardo da Vinci's 'Mona Lisa') are handed out to be closely examined. A spectator selects one of the pieces. And a folded prediction is introduced. When the spectator slowly deals the pieces onto the table, and the prediction is unfolded, it perfectly matches the selected piece! And the prediction also matches the exact arrangement of the remaining 7 pieces! DERANGED is easy to do, immediately resets, and never misses! Includes the custom designed postcard, plastic wallet and full-length DVD!